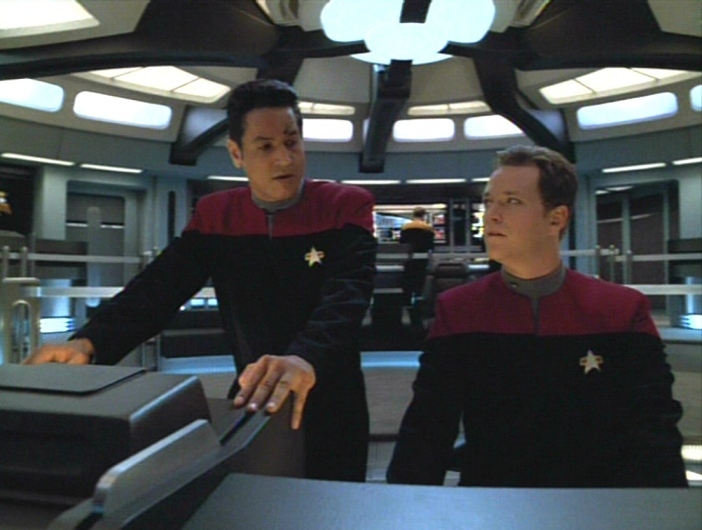 Chakotay: Computer, delete the EMH's smugness algorithms. Computer: Unable to comply, deletion of specified algorithms would result in the deletion of the Emergency Medical Hologram. Paris was not impressed with the new "medical assistant" uniform the EMH imposed. Chakotay: Where'd th' cheese go? Paris: So, how was it down there? 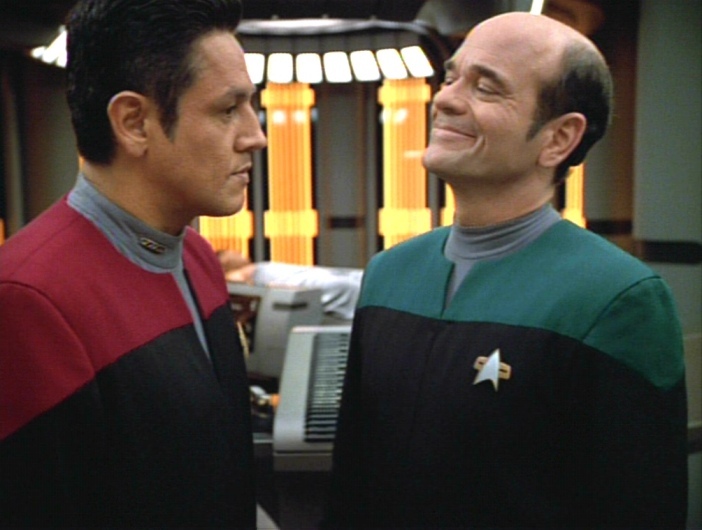 It wasn't the first time Paris caught Chakotay staring longingly at his non-Maquis rank pips. CHAKOTAY: So in your new 'Realistic family' holodeck simulation, you made yourself super-strong? DOC: And my daughter kills all the anti-vaccination people. Chakotay: What's made you so happy? The Doctor: It just hit me that a hologram has more acting ability than a tree. CHAKOTAY: There's one thing you need to remember once we get back to the Alpha Quadrant. A Chimpanzee & 2 Trainees likes this. I don’t know if I want to go back. I am a former Maquis, probably facing prison time. Any tips for me, Paris? EMH: Look at the blank stare! My Chakotay hologram is finally perfect, and now I'm ready to implement my secret plans for more away mission duty! EMH: Well, this is embarrassing, but then again I am a Doctor, not a Bond villain. Laura Cynthia Chambers likes this.